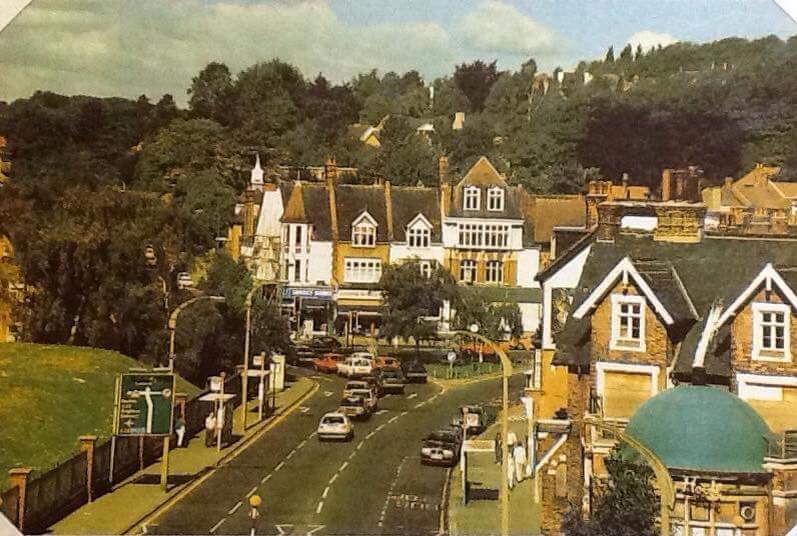 You are here: Home > Message Board > News & Politics > Help Save Purley! The vicar is planning to move away before it's finished. How convenient. It is a baptist church so should'nt it be pastor? I never seen why they need a 17 storey building in Purley. Selhurst is already a football stadium, and has been before anyone who now lives in the vicinity of it, so it's not an out of place development. I wonder if any of the Pastor's flock or parents of scouts or whatever have fallen out with him over his backing of the skyscraper. I have prepared one of my own time capsules. I have placed some rather large samples of dynamite, gunpowder and nitroglycerin. My time capsule is set to go off in the year 3000. It will show them what we are really like. Love it. Jolly Farmers boarded up, railway tavern in the foreground and for the Judge and SS only white faces. didn't purley look so much better. mass immigration has ruined this countries with the huge road infrastructures and high rise buildings! shame on the government for taking the easy option and flooding this country with people just to increase economic growth!!! Anyone know who is going to be standing in the local elections today AGAINST the Purley SkyScraper development? It would seem the Independent, former Tory, nominee David Speakman is, but who else, and who is going to be effective in putting forward a better, more viable, and less intrusive option for development in the area? is there a thread about Croydon Council's planning policy in general? The story has been widely reported by Private Eye in their Rotten Boroughs section. Some people see it as an attempt to house traditional Labour voters in tory wards in the south of the borough. Unfortunately I haven't seen the Eye for quite a while. After a two-year campaign, we yesterday found out what the decision on the Purley Skyscraper was: it has been rejected! The Skyscraper plan was for a 17 floor building on the site just opposite Pizza Express on Purley Cross. At 17 floors, it was five times the height of most buildings in Purley and totally out of keeping. It only had around 30 parking spaces for 220 flats, only around 20% of the flats were designated “affordable” and it may have set a precedent for other tall towers in Purley. It would have changed the character of Purley. That is why I joined with seven local Residents’ Associations and local councillors from the neighbourhood to fight the application. Over 11,000 local people signed my petition opposing the skyscraper. But in late 2016, Croydon’s Labour-run council ignored local people and gave the skyscraper planning consent anyway (they are currently giving out planning consents indiscriminately across the Borough). Thankfully, the then Conservative Secretary of State, Sajid Javid, “Called In” the planning application to be looked at again by a Planning Inspector. This is a power the Secretary of State has for large planning applications. This triggered a public enquiry in January 2018, during which I was cross-examined for over 2 hours by the developer’s top planning QC. Phil Thomas of Riddlesdown Residents Association, assisted by six other local Residents Associations (Sanderstead, Coulsdon West, Old Coulsdon, Coulsdon East, HADRA and KENDRA), made representations throughout the week-long hearing – where they were also up against two top planning QCs. I would like to thank Phil and the team for the amazing job they did at those hearings. I am delighted by this decision. It shows that at long last someone is listening to local people in our neighbourhood. This was a terrible planning application that would have spoiled our neighbourhood. The Labour council let us all down by ignoring our views. There is a right of appeal for the developer on narrow procedural grounds (they have to show due process was not followed), which I hope would prove futile if attempted. The site does need developing, and I would be happy to support an appropriate scheme to provide amenities and housing for local people there. But 17 floor skyscrapers do not fit with Purley. Croydon’s Labour-run council has been ignoring local residents for too long – granting inappropriate planning applications indiscriminately (they approve around 90% of all applications that come to planning committee). There are plenty of town centre and brownfield sites in Croydon (especially Croydon town centre) and across London that should be developed first. It took action by the Government to stop the Council in this case. I will return to the wider question of what we can do about the planning problem in Croydon later – but thought you would appreciate hearing this great news now. Thanks to all who got involved in this debate, everyone who singed the petition, give yourselves a pat on the back. Well done everyone. Shame that the 8 story eyesore was bulit in Coulsdon.